THE SUNDAY TIMES: THE Greek government has been advised by British economists to leave the euro and default on its €300 billion (£255 billion) debt to save its economy. THE SUNDAY TELEGRAPH: China is struggling to contain the threat of an overheating economy in the face of rising house prices, inflationary wage increases and a continuing surge in money supply, the head of the country’s second-largest bank has warned. Guo Shuqing, chairman of China Construction Bank, said that the latest figures for China’s M1 money supply – a key predictor of inflation – had raised concerns that the country’s vast stimulus and bank-lending was running too hot. “I saw the figures for last month and M1 is still very high, increasing 31pc from last year, which is one per cent higher than last month,” he said in an interview with The Daily Telegraph. China’s regulators have introduced a raft of measures in recent weeks in an attempt to cool down the economy, forcing banks to raise the capital adequacy ratios and hitting second home buyers with regulation designed to drive speculators out of the property market. THE NEW YORK TIMES: MEMPHIS — For two decades, Tyrone Banks was one of many African-Americans who saw his economic prospects brightening in this Mississippi River city. A single father, he worked for FedEx and also as a custodian, built a handsome brick home, had a retirement account and put his eldest daughter through college. Then the Great Recession rolled in like a fog bank. He refinanced his mortgage at a rate that adjusted sharply upward, and afterward he lost one of his jobs. Now Mr. Banks faces bankruptcy and foreclosure. LE FIGARO: Le président de la Banque centrale européenne appelle à plus de contrôle collectif des finances des Etats de la zone euro, dans une interview accordée au Monde. Il rejette «toutes les théories du complot», y compris une attaque anglo-saxonne contre l'euro. «Nous sommes une fédération monétaire. Nous avons maintenant besoin d'avoir l'équivalent d'une fédération budgétaire», a défendu Jean-Claude Trichet, le président de la Banque centrale européenne (BCE) dans une interview au Monde daté de mardi. Il anticipe d'autre part une croissance meilleure que prévue en zone euro au deuxième trimestre. Le banquier central tire les leçons de la crise : Il estime que la situation actuelle est due au non respect des règles budgétaires européennes. Et appelle à un renforcement sans précédent de l'intégration européenne, afin de renforcer le «contrôle et [la] surveillance de l'application des politiques en matière de finance publique». A plus court terme, il exhorte les Européens à adopter des «plans de retour progressif à la sagesse budgétaire, ce que vous appelez plans d'austérité». 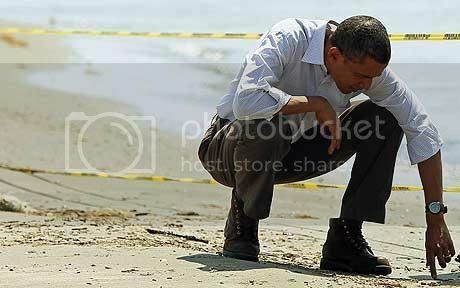 The first thing Barack Obama probably should have done was to order the livestreaming Oil Spill Cam to be turned off. As the President insisted to Americans that he was "singularly focused" on staunching the flow, there was that mesmerising image on their television screens of plumes of hydrocarbons gushing relentlessly into the Gulf of Mexico. When any political leader feels they have to declare that they are "fully engaged" in an issue, it is clear that they are in trouble. Talking about it undermines the very point you are trying to make - not to mention that pesky Oil Spill Cam showing that, 38 days into the Deepwater Horizon disaster, not a whole lot had been achieved. Even judging Obama by his words, he has fallen woefully short over what has now eclipsed the 1989 Exxon Valdez wreck as biggest oil spill catastrophe in American history. He may have described it as an "unprecedented disaster" in last Thursday's press conference but a week into the crisis he was blithely stating that "this incident is of national significance" and rest assured he was receiving "frequent briefings" about it. George W Bush's unpopularity and perceived incompetence was encapsulated by the way he dealt with the aftermath of Hurricane Katrina. 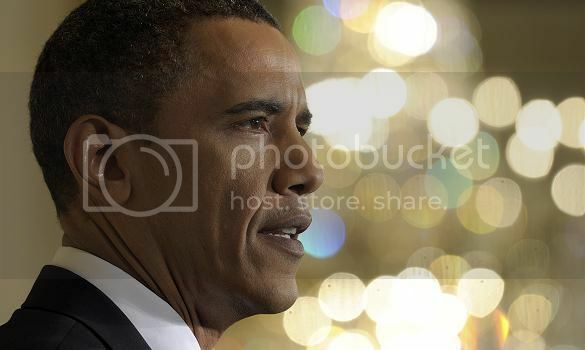 Candidate Obama branded it "unconscionable incompetence". Central to Obama's appeal was his promise to be truly different. His failure to achieve that is now at the core of the deep disappointment Americans feel about him. At the press conference - the first full-scale affair he had deigned to give for 309 days - he appeared uncomfortable and petulant. His approach to the issue was that of the law student suddenly fascinated by a science project. He displayed none of the visceral indignation Americans feel about pretty much everything these days - two-thirds now say they are "angry" about the way things are going - resorting instead to Spock-like technocratic language and legalese. 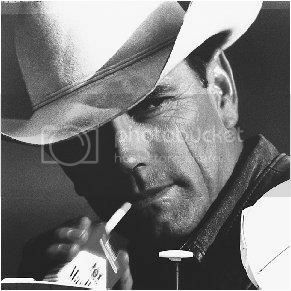 "I'm not contradicting my prior point," he stated at one juncture. During those 63 minutes of soporific verbosity, about 800 barrels of oil poured into the Gulf. Italy’s Rude Awakening: Perhaps la Vita Isn’t Always So Dolce After All! THE TELEGRAPH: Italy is the latest eurozone nation to be threatened by finacial woe - after Silvio Berlusconi assured his compatriots for months that they had weathered the crisis. 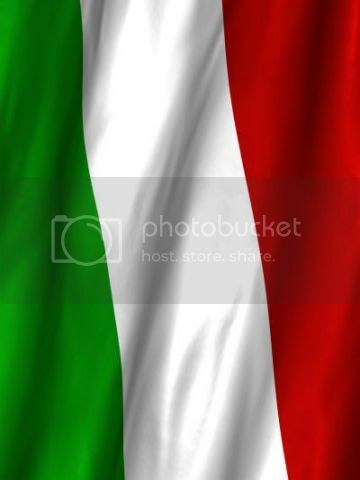 They were the advance guard of an army of Italians whose anger is rising as their country joins the rest of the continent struggling with the worst economic crisis of recent times. Waving banners, blowing whistles and chanting "Shame! ", hundreds of public service workers rallied outside Italy's parliament in Rome to protest against the austerity package announced by the centre-Right government of Silvio Berlusconi. The measures aim to shave 24 billion euros off government spending in the next two years. They include a crackdown on tax evasion and welfare fraud, a three year salary freeze for Italy's 3.4 million civil servants and substantial cuts to regional government which will almost certainly result in less money for hospitals and schools. 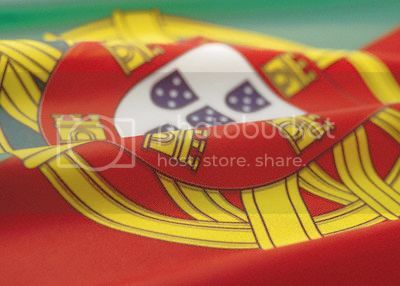 In pushing through the package with an emergency parliamentary decree, Italy joined Portugal and Spain in trying to fend off contagion from the crisis which has brought deadly riots to Greece and shaken confidence in the euro. The cuts are greater in scale than the £6 billion of immediate savings recently announced by Britain's new coalition government, but are comparable with what the UK may face over the next 12 months. The protesters, mostly women, who had gathered outside Italy's lower house of parliament in Piazza di Montecitorio, a cobbled square lined with expensive hotels and boutiques, were stung by the announcement and fearful for the future. For months Mr Berlusconi had been assuring his countrymen that Italy has weathered the global economic crisis much better than the rest of Europe. WELT ONLINE – Auszug: Manchmal werden innenpolitische Probleme kleiner, wenn man sie aus der Ferne betrachtet. Mit der Euro-Krise verhält es sich nicht so, erfährt die Kanzlerin in den heißen Tagen am Golf. Ob Emir, Ministerpräsident oder König – ausnahmslos jeder Gesprächspartner Merkels erkundigt sich nach der immer noch fallenden Währung. Einer der Potentaten sorgt sich um die umfangreichen Anlagen, die sein Reich in der Gemeinschaftswährung hält. Ein anderer verdächtigt die Deutschen, den Kursverfall des Euro gezielt zu betreiben, um deutsche Exporte billiger zu machen. Ein dritter Despot fragt die Kanzlerin direkt, ob sie überhaupt noch an den Euro glaube. WELT ONLINE: Spätere Rente, höhere Abgaben, weniger Lohn: Von Sizilien bis Stockholm zerbrechen sich Finanzexperten den Kopf über Wege aus der Schuldenkrise. Seit 2008 hat sich das Staatsdefizit in der EU verdreifacht. Jetzt bekommt eine halbe Milliarde Menschen die Ausläufer des griechischen Bebens richtig zu spüren. Blass sitzt Elena Salgado am Freitagmittag vor den Fernsehkameras im Madrider Regierungssitz Moncloa. Bedächtig legt Spaniens Wirtschaftsministerin Folie auf Folie; es sind Statistiken des Schreckens, die Salgado den Spaniern wieder einmal vorlesen muss. Die Arbeitslosigkeit wird bis 2013 stärker ansteigen als die Regierung prognostiziert hatte. Und das am Vortag beschlossene neue Sparpaket von 15 Milliarden Euro, es reicht noch lange nicht. „Es werden weitere Maßnahmen folgen“, sagt Salgado. Wie auch immer sie es formulierte, es musste wie eine Drohung klingen. Vom hohen Nordosten bis an die Südwestspitze Europas bekommt eine halbe Milliarde Menschen die Ausläufer des griechischen Bebens jetzt richtig zu spüren. Alle Regierungen wussten schon lange, dass ihre Finanzen nicht stimmen. Einige hatten sich bereits zu Beginn der Krise im Herbst 2008 zum Sparen durchgerungen, gezwungenermaßen, damit sie Gelder des Internationalen Währungsfonds (IWF) bekommen: Ungarn zum Beispiel, oder Lettland. TIMES ONLINE: The food bank in Vic, 40 miles north of Barcelona, occupies an old bakery in a side street. Each day hundreds of unemployed stream in to collect handouts of bread, milk, pasta and other necessities. The overwhelming majority are immigrants, predominantly Moroccans and sub-Saharan Africans who flocked to Vic in the past few years to work on building sites or in the huge pig farms and meat factories that surround the town and give it its distinctive smell. At least 10,000 came, swelling Vic’s population by a quarter. They did the hard, dirty work and were welcomed. Not any more. Half lost their jobs when Spain’s construction bubble burst in 2008 and brought the good times to an abrupt end. A deeply unpopular €15 billion (£12.7 billion) austerity package rushed through parliament yesterday will make life even harder. On top of that, the immigrants are now the target of Platform for Catalonia, Spain’s equivalent of the BNP, which is based in Vic. “Control immigration — stop the crisis,” its leaflets proclaim. “They insult us. They say maybe we’re the cause of the crisis, that we take their jobs. It’s not fair and it’s not nice,” said Mercy Omoroagbon, 30, as she collected her handout. She arrived from Nigeria in 2002, lost both her cleaning jobs last year and now lives off the charity of friends. 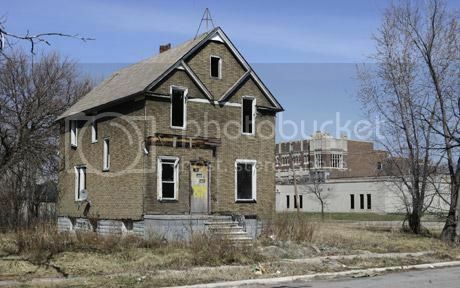 THE TELEGRAPH: Tired of Detroit's status as the symbol of everything wrong with urban America, its new mayor has come up with a radical solution: to bulldoze the city. David Bing, a businessman and former all-star basketball player who entered politics late in life, says he has no choice. The 2010 census is expected to reveal a population of about 800,000, down from a peak of 1.8 million in the Motor City heyday of the late 1950s. The long decline of the car industry and all its spin-off business has been exacerbated by the collapse of a housing market that has left prices close to what they were 50 years ago, when lifestyle magazines featured Detroit as the most desirable city in the United States. Decent three-bedroom homes can be bought for $10,000, but no one wants to buy. Decades of poor and at times corrupt administration have also taken their toll, and with the city facing a deficit of between $85 and $124 million this year, the answer, says Mr Bing, is to accept reality and reduce the size of the city. "There is just too much land and too many expenses for us to continue to manage the city as we have in the past," he said. "If we don't do it, this whole city is going to go down." TIMES ONLINE: The euro plunged and US stockmarkets dived tonight after Spain was stripped of its top-level credit rating by a leading rating agency over concerns about its economic growth. Standard & Poor’s, another ratings agency, downgraded Spain’s rating for the second time to AA last month but Moody’s, the other major ratings agency, has maintained the rating at AAA. Any downgrade in a sovereign credit rating will push up the interest that a country must pay on its debts. Brian Coulton, Fitch’s head of EMEA sovereign ratings, said that the process of cutting the country’s debt could slow economic growth. TIMES ONLINE: President Obama launched a ferocious attack on BP and the oil industry yesterday as what is now officially the worst spill in US history threatened to derail his presidency. Seizing the initiative on the first day of potentially good news from the Gulf of Mexico, Mr Obama cancelled or suspended dozens of offshore drilling projects and condemned a “scandalously close relationship” between oil companies and government regulators. While Coast Guard officials in the Gulf said that BP’s so-called top kill strategy to fill the gushing well with mud seemed to be working, the President warned that there was no guarantee of success yet. THE TELEGRAPH: This financial crisis is worse than the sub-prime crash of 2008 because the sums are so much bigger and it is governments that are in dire straits. Edmund Conway explains the dangers. 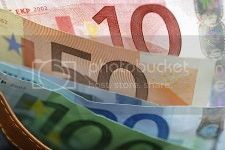 The European financial crisis may look and smell rather different to the American banking crisis of a couple of years ago, but strip away the details – the breakdown of the euro, the crumbling of the Spanish banking system to take just two – and what you are left with is the next leg of a global financial crisis. Politicians temporarily "solved" the sub-prime crisis of 2007 and 2008 by nationalising billions of pounds' worth of bank debt. While this helped reinject a little confidence into markets, the real upshot was merely to transfer that debt on to public-sector balance sheets. The problem is that this has to stop somewhere, and that gasping noise over the past couple of weeks is the sound of millions of investors realising, all at once, that the music might have stopped. Having leapt back into the market in 2009 and fuelled the biggest stock-market leap since the recovery from the Wall Street Crash in the early 1930s, investors have suddenly deserted. London's FTSE 100 has lost 15 per cent of its value in little more than a month. The mayhem on European bourses is even worse, while on Wall Street the Dow Jones teeters on the brink of the talismanic 10,000 level. THE TELEGRAPH: The M3 money supply in the United States is contracting at an accelerating rate that now matches the average decline seen from 1929 to 1933, despite near zero interest rates and the biggest fiscal blitz in history. MAIL ONLINE: Britain’s welfare system is ‘bust’ and faces its most radical overhaul for 60 years to undo Labour’s legacy of benefit dependency, Work and Pensions Secretary Iain Duncan Smith declared today. The former Tory leader vowed to end the scandal that means welfare claimants are no better off – and sometimes poorer – if they come off the dole to take jobs paying up to £15,000 a year. He also signalled that benefit payments to the middle classes were likely to be pared back in favour of income tax cuts – and the state pension age might have to rise more quickly than planned. Giving his first newspaper interview since making an extraordinary return to the political frontline, Mr Duncan Smith told the Daily Mail the unemployed should do community work to keep benefits. Those who refused to look for work, take jobs that were offered to them or do voluntary work would have their handouts stopped, he said. Mr Duncan Smith said it was simply not ‘sustainable’ for Britain to carry on spending almost 14 per cent of its national income on welfare. The bewilderingly complex benefits system should be radically simplified, and the perverse penalty against couples living together brought to an end, he added. TIMES ONLINE: The Prime Minister this morning gave no immediate reassurance to hundreds of thousands of stock market speculators and second home owners who are scrambling to offload their assets to avoid the threat of higher Capital Gains Tax. He showed no signs of backing down in the face of the campaign mounted by the former Cabinet minister John Redwood and the former shadow home secretary David Davis to protect the investments of retired people and the better off - many of them grassroots Tory supporters in the shires. The coalition is proposing to raise CGT, currently set at 18 per cent on all gains over £10,100 a year, to a level closer to that of income tax - potentially up to 40 or even 50 per cent. DAILY FINANCE: There was a time -- seems like ancient history, doesn't it? -- when Apple (AAPL) played David to Microsoft's (MSFT) Goliath. No more. At the close of Wednesday's stock trading session, Apple's market capitalization stood at $222 billion, surpassing Microsoft, which had a value of $219 billion. Tech watchers hailed Apple's feat as the end of an era, changing of the guard, pick your metaphor. AM Report: Is Gold the Next Bubble? 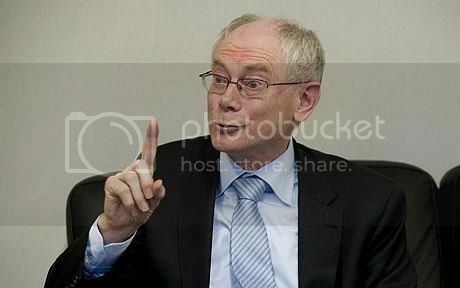 THE TELEGRAPH: Europe's "man in the street" was misled for years over the vast political and economic implications of the creation of "Euroland", Herman Van Rompuy has admitted. "Nobody ever told the proverbial man in the street that sharing a single currency was not just about making peoples' lives easier when doing business or travelling abroad, but also about being directly affected by economic developments in the neighbouring countries," he said on Tuesday evening. 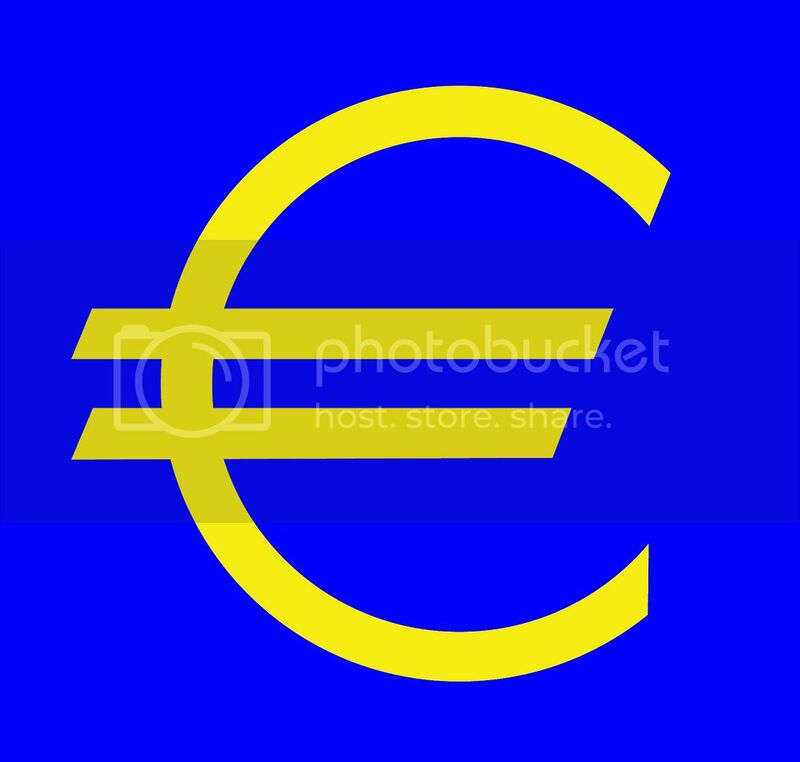 "Being in the 'Euro zone' means, monetarily speaking, being part of one 'Euroland'." Public anger over the cost of supporting other euro zone governments, so far totalling £470 billion in taxpayer funded loans or guarantees, has created new political instability, especially in Germany. 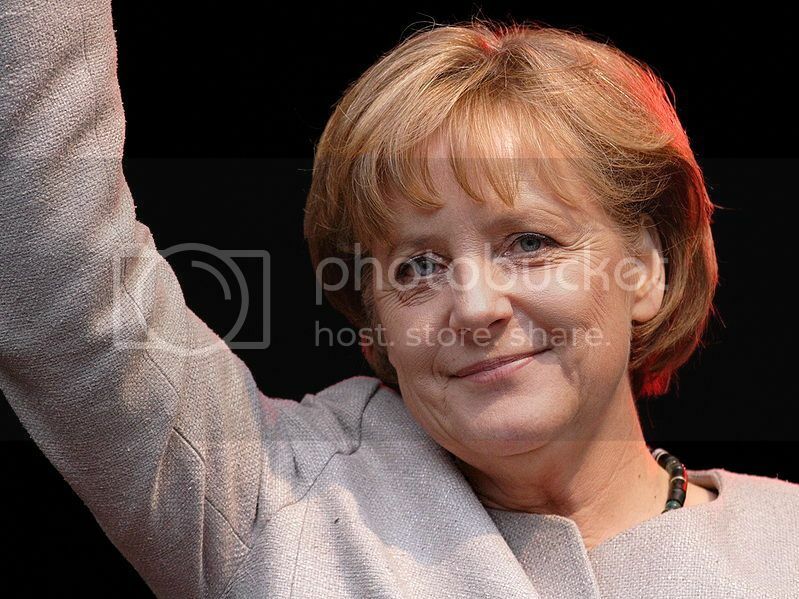 Angela Merkel, the German Chancellor and her coalition government, lost its parliamentary majority two weeks ago following a furious reaction to a Greek bail-out that cost Germany's taxpayers £19 billion. TIMES ONLINE: The Bank of England must raise interest rates by the end of this year to keep inflation in check, the Organisation for Economic Co-operation and Development warned today. 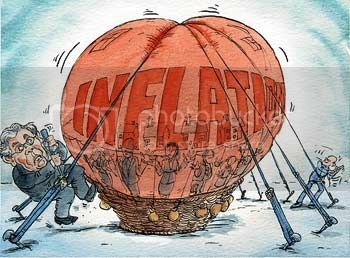 The Bank of England is struggling to curb inflation which is currently 3.7 per cent — far above the Government’s inflation target of 2 per cent. The interest rate has been at a historic low of 0.5 per cent since March last year. The OECD said that interest rates should start rising this year, and be at 3.5 per cent by the end of next year to keep inflation in check. This would cause misery for hundreds of thousands of mortgage borrowers who would see their monthly payments soar. “The authorities face the challenge of preserving credibility, with headline inflation and some measures of inflation expectations exceeding the targeted rate,” the Paris-based group of 30 developed economies said in its twice-yearly report today. THE TELEGRAPH: Banks must face new taxes to avoid repeating the 'unacceptable' bail-outs of failed banks that cost taxpayers billions, the European Union’s chief financial regulator warned. 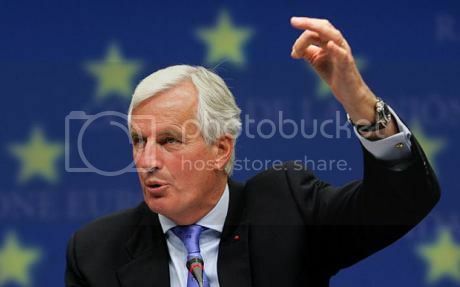 European banks may face taxes on the size of their balance sheets, on how much they owe other institutions or on how much profit they make, Michael Barnier, the EU's Financial Services Commissioner said on Wednesday. The cash raised would be used to pay for future bail-outs. “It is not acceptable that taxpayers should continue to bear the heavy cost of rescuing the banking sector,” Mr Barnier said. "They should not be in the front line. I believe in the polluter pays principle. "We need to build a system which ensures that the financial sector will pay the cost of banking crises in the future." The plans by Mr Barnier come as the eurozone faces the biggest crisis in its short history, as investors fear that the debt crisis that engulfed Greece will spread. However, there are divisions among European countries on how to implement the tax and what it should be used for. What's With All This Green? The head of the European commission today launched a strong attack on the German chancellor Angela Merkel's handling of the euro's crisis of confidence. José Manuel Barroso, the president of the European commission, who is believed to be supported by a majority of the 27 member states, described Merkel's campaign to reopen the Lisbon treaty as "naïve". He said that the bill of almost €900bn for rescuing Greece and shoring up the euro would have been much cheaper had Berlin acted more swiftly, and accused the German government of failing to lead public opinion in defence of thebeleaguered single currency. 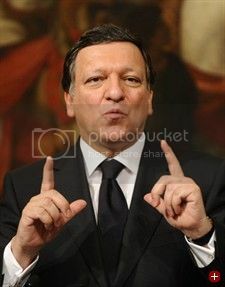 Barroso's surprisingly public criticism, in an interview with Germany's conservative newspaper the Frankfurter Allgemeine Zeitung, signalled the high-level political friction in the EU over how to restore faith in the single currency. TIMES ONLINE: It is a gloriously sunny Pentecôte bank holiday, and hundreds of people have descended on Morschwiller-le-Bas, a suburb of the French city of Mulhouse, for its annual marché aux puces — flea market. The eurozone crisis is hardly uppermost in their minds as they pick through the mounds of second-hand clothes and bric-a-brac, but they respond when asked, and their views could scarcely be more different from those we found in Germany, a mere 15km (9 miles) to the east. 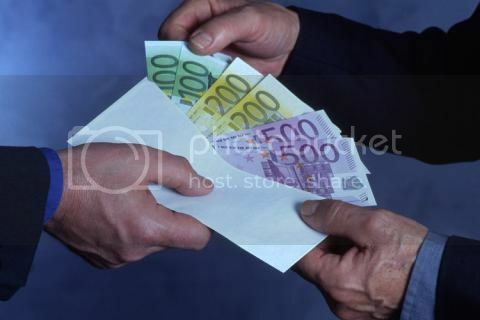 The hard-working Germans were furious at the €148 billion euros (£126.1 billion) in loan guarantees that their Government has offered the Greeks and other states of the southern eurozone. Here in France, nobody even knows how much their Government has put up (the answer is €111 billion) and there has been scarcely a murmur of dissent. “If we consider Europe a serious matter we have to help the Greeks,” said Jacqueline Wertz, a retired hotel worker eating pizza in the shade. “They have to have more discipline, but we have a duty of solidarity and have to help,” agreed Martial Fixalis, 39, a businessman manning his own stall. “We’re European, and it’s our role to help others,” said Josiane Mehlen, who was queueing at a beer stand and turned out to be Morschwiller’s mayor. There are many explanations for this Gallic insouciance. The French believe in state intervention. Like the Greeks, they have their own sizeable black economy. Unlike the Germans, they are no fiscal saints themselves. Their national debt is 84 per cent of GDP — 6 per cent higher than Britain’s. “Money is a means to an end. If you can live well with a deficit it’s not a big problem,” chuckled Denis Fauroux, a Mulhouse lawyer, as we ate lunch in his garden and admired the distant mountains of Les Vosges. The French, with their 35-hour working week and propensity to retire early, do not share the German work ethic evident this week in Ludwigshafen, a four-hour train ride north up the Rhine valley. “Here it’s a Latin culture. 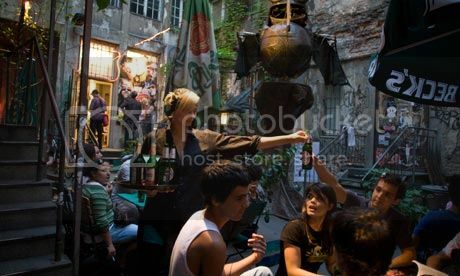 The French have more sympathy with the Greeks than the Germans,” observed Marc Sarwatka, 44, the head of a large recruitment agency, over an early evening beer in the elegant Place de la Bourse. Nor are they such sticklers for rules, as our translator observed when a French driver sped over a pedestrian crossing. “The Germans always stop,” she remarked. 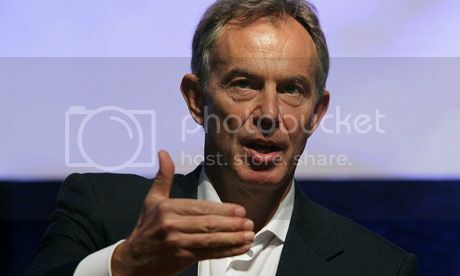 Tony Blair's lucrative list of business activities lengthened yesterday with a job as an adviser to a Silicon Valley venture capital firm, Khosla Ventures, that specialises in promoting environmentally friendly technology. The former prime minister is to lend his expertise and his "global relationships" to the California-based company, which is led by Indian-born billionaire Vinod Khosla, one of the founders of the computer firm Sun Microsystems. THE TELEGRAPH: It's a new nation under the coaltion government – but be warned: the newly poor will need a voice, says Mary Riddell. Tomorrow, with all due pomp and pageantry, the Queen will tell Parliament that her Government will exercise "freedom, fairness and responsibility". Her speech, rooted in 500 years of tradition, will herald the birth of a modern nation. The legislative programme outlined by Her Majesty is the gateway to a Britain in which children play in streets uncluttered by CCTV cameras and superfluous immigrants. These pupils, heading to sumptuous schools set up by (non-working?) parents, may walk past JobCentre Plus branches packed with benefit scroungers being shoehorned into gainful employment. Any anti-social elements disturbing the civic calm will be swiftly dealt with by our newly-politicised police. What happy days. I do not mean to parody the Con-Lib agenda. Scrapping ID cards, curbing the excesses of the surveillance state and electoral reform are welcome and overdue. Even so, the upbeat pitch of today's proceedings stands in stark contrast to yesterday's. 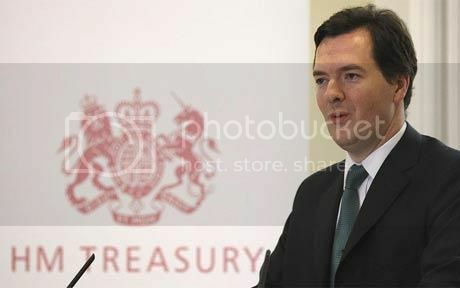 The £6.25 billion cuts outlined by George Osborne sounded modest and, in some cases, positive. We can all sign up to a bit of quangocide and an end to first-class travel by civil servants. But these are the surface grazes before tax cuts kick in and the axe falls on the 300,000 public sector jobs threatened by efforts to cut the £157 billion budget deficit. BBC: The International Monetary Fund (IMF) has raised fresh concerns about Spain's economy, saying "far-reaching" reforms are needed to ensure its recovery. It said the country faced "severe" challenges, including the need to urgently reform a "dysfunctional" labour market, and its banking sector. The IMF's comments came after Spanish authorities had to rescue regional lender Cajasur at the weekend. 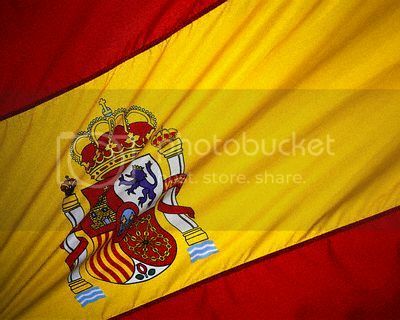 Last week, Spain's government passed austerity measures to cut its deficit. This deficit - the money the administration has to borrow to pay for public services due to insufficient tax returns and other revenues - currently equates to 11% of Spain's economic output. This is substantially higher than the eurozone ceiling of 3% and another concern that the IMF has highlighted. THE TELEGRAPH: A £6 billion package of cuts in public spending is “only the first step” towards repairing Britain’s public finances and even tougher cuts will follow, ministers have warned. David Laws, the Chief Secretary to the Treasury, said that today’s cuts – which will fall on Whitehall departments and local councils – are just a foretaste of a much larger and more painful austerity programme to be unveiled later this [year]. Mr Laws and George Osborne, the Chancellor today unveiled cuts worth a total of £6.2 billion, which will mean cuts in civil service job numbers, quango budgets and Whitehall spending on advertising and consultants. Local councils will bear a large share of the cuts, which could raise questions about the services they deliver. There will be a cut of £311 million in the money handed to local authorities for education services like school transport. TIMES ONLINE: President Barack Obama today said he “fully supports” the South Korean president and his response to the torpedo attack by North Korea that killed 46 South Korean sailors as the cross-border animosity between the two countries continues to rise. South Korea’s President Lee Myung-bak earlier today demanded that North Korea “immediately apologise and punish those responsible for the attack, and, most importantly, stop its belligerent and threatening behaviour” and announced it will take the case of the torpedoed Cheonan warship to the United Nations Security Council. In a move which analysts described as “cautiously hard-line”, Mr Lee also said he would be suspending all exchanges between the two Koreas and imposing a total ban on North Korean ships passing through South Korean waters. His government banned all trade, investment and visits with North Korea. South Korea also plans to reduce the number of workers in a joint factory park just inside the North which has long been an important source of income for the North Korean leadership. THE SUNDAY TIMES: Public spending cuts have been made imperative by the crisis in the eurozone, Nick Clegg, the Deputy Prime Minister, said today as the new coalition Government prepared to start chipping away at Britain’s record £156 billion deficit. Years of Labour “throwing money around like there was no tomorrow” had left a “black hole” in the country’s finances, he said. Mr Clegg’s scathing assessment of the outgoing regime came as George Osborne, the Chancellor, prepared to announce tomorrow where the axe will fall for his first £6bn of cuts — most of which will be ploughed straight into paying off the deficit. 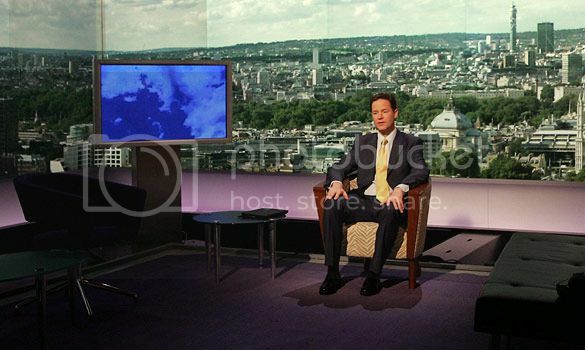 Having backed Labour’s assertion during the election campaign that cuts this year would jeopardise the fragile economic recovery, Mr Clegg told BBC1’s Andrew Marr Show that turbulence in the eurozone had lent a greater urgency to balancing Britain’s books. “I don’t think anybody could have anticipated then quite how sharply the economic conditions in the eurozone would have deteriorated and that the need to show that we are trying to get to grips with this suddenly became much greater,” the Liberal Democrat leader said. “That is why we need to show at a more accelerated timetable than I had initially thought that we are going to get to grips with this great black hole in our public finances. “The outgoing Labour Government was just throwing around money like there was no tomorrow, probably knowing that they were going to lose the election, making extraordinary commitments left, right and centre, many of which they knew they couldn't honour. “So not only are we going to have to deal with cuts, we are also going to have to actually deal with some of the pledges that the Government made in the past which they didn’t even provide budgets for. THE NEW YORK TIMES: PARIS — Across Western Europe, the “lifestyle superpower,” the assumptions and gains of a lifetime are suddenly in doubt. The deficit crisis that threatens the euro has also undermined the sustainability of the European standard of social welfare, built by left-leaning governments since the end of World War II. Reporting was contributed by Maïa de la Baume and Scott Sayre from Paris, Niki Kitsantonis from Athens, and Elisabetta Povoledo from Rome. 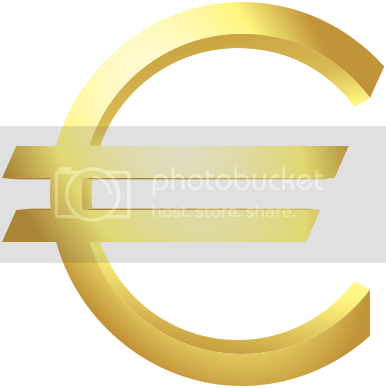 The European Disunion - Will The Euro Survive? THE SUNDAY TELEGRAPH: As the currency crashes and the Continent is swept by protests, even key members such as Germany and France are starting to think the unthinkable about the euro. Like many of Spain's 4.5 million unemployed, Cinthia Carvajal is on the verge of despair. The 41-year-old marketing executive has jobhunted non-stop for the last six months, but with the country in the grip of its worst recession in 50 years, there are precious few firms needing anything to be marketed. She will now take whatever job she can find, but with unemployment running at 20 per cent nationally, the few offers come her way are generally less than tempting. "I spend my whole time going for interviews," said Ms Carvajal, who receives €475 (£388) per month in unemployment benefits. "But often they want you to work on the black market to avoid paying taxes, and I'm not prepared to do that." Spain's jobless rate is currently double the the average for the euro zone, rising to nearly 32 per cent in places like Cadiz, a windswept port that has never recovered since its shipbuilding yards went the same way as those on the Clyde. The economy shrank nationwide by nearly four per cent last year, and in the bars of Cadiz's winding, cobbled streets, the sense is that things can only get worse - which, last week, they effectively did. On Thursday, in a bid to avoid a Greek-style deficit crisis, the socialist administration of Prime Minister Jose-Luis Zapatero approved highly unpopular moves to slash public spending by €15 billion, which will include sacking 13,000 civil servants, trimming public sector wages by 5 per cent, and freezing state pensions. Out, too will go to the €2,500 birth grant for all new-born children - just one of the generous social benefits that Madrid can no longer afford. What was the original idea behind the euro and its zone? In the back of the Berliner Republik bar on the banks of the river Spree, Matt, Otto and Christian's eyes are fixed on a screen in front of them. The names and prices of 18 German draught beers flash up, bright green on a black background, and change every few seconds, according to who has ordered what. It's a pub game for the modern age, based on supply and demand. 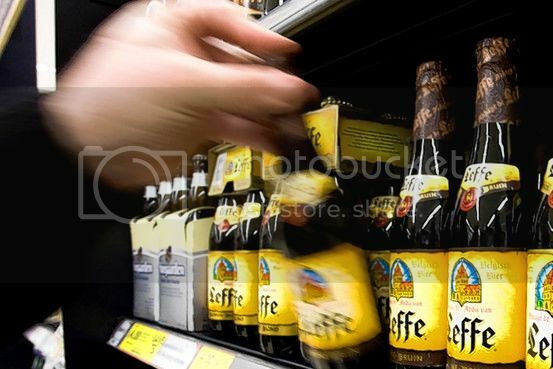 The trick is to buy the beer cheaply and then give yourself a pat on the back when demand pushes the price up. "It gives a bit of a risqué edge to ordering," says Otto, a graphic designer. "But it also makes you feel strangely vulnerable." The screen is more fruit machine than stock market, but it reflects the sense of playing a lottery common in Angela Merkel's Germany as it has pumped billions of euros into bailing out profligate Greece and propping up the single currency, without knowing whether the injection will do any good. As the prices of the beers rise, news comes through from Frankfurt that in the real world Germany's DAX index has fallen 106.86 points, despite the €750m rescue package that the Bundestag has just narrowly approved. On Wall Street and elsewhere the markets wobbled, a sure sign that no one believed the crisis was anywhere near over. On the pavement outside the bar, drawing on a cigarette, Pamela Schreiber pauses in contemplation. "Do I consider myself European? Well, of course, but first and foremost I'm a German," says the 33-year-old set designer with conviction. The answer is not one that you would have expected a few years ago from a young person in Germany. This is the country where European enthusiasm has been easiest to find and where, since the war, European interests have taken precedence over nationalist ones. But, according to Schreiber, Germans feel increasingly torn over Europe. "We always knew in our heart of hearts that the euro would never be as solid as our deutschmark, but we gave up our beloved currency, which was actually central to our identity, because we believed in the European project so fervently," she says. 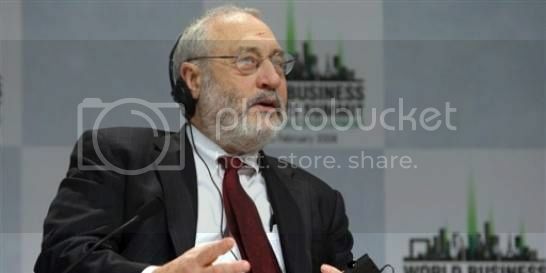 LE MONDE: Joseph Stiglitz, 67 ans, Prix Nobel d'économie en 2001, ex-conseiller économique du président Bill Clinton (1995-1997) et ex-chef économiste de la Banque mondiale (1997-2000), est connu pour ses positions critiques sur les grandes institutions financières internationales, la pensée unique sur la mondialisation et le monétarisme. Il livre au Monde son analyse de la crise de l'euro. THE WALL STREET JOURNAL: LONDON—Britain's biggest supermarket said it supports the U.K. government's plan to ban the sale of alcohol at prices below cost, in response to proposals designed to curb binge drinking and rowdy behavior. Tesco PLC, the country's biggest retailer by market share, also said it would support any government move to set minimum prices on beer, wine, alcoholic cider and spirits—a measure that has been much-debated in the U.K., but not explicitly proposed by the country's new coalition government. NEUE OSNABRÜCKER ZEITUNG: Die Bereitschaft der Griechen, mit der alltäglichen Korruption in ihrem krisengeschüttelten Land zu brechen, ist größer als bisher angenommen. Die überwältigende Mehrheit der Bürger verurteilt die gängige Praxis der Schmiergeldzahlung. Das geht aus einer Untersuchung von Transparency International hervor, aus der unsere Zeitung (Samstagausgabe) zitiert. THE TELEGRAPH: No one – not Britain, the US nor Japan – is immune to a Greek-style debt crisis, one of Europe's chief policymakers has warned, as investors reeled from a week of market drama. The sovereign debt crisis could claim new victims, including those outside the euro area, according to Lorenzo Bini Smaghi, a member of the European Central Bank's executive board. He was speaking as finance ministers met in Brussels to discuss their response to the crisis. The new Chancellor, George Osborne, urged them to cut deficits faster and with more urgency, pointing towards the £6bn of in-year spending cuts he is set to unveil on Monday. The warning came on another tense day for capital markets worldwide. London's benchmark FTSE 100 dipped briefly beneath the 5,000 mark, recovering later in the day but nevertheless closing down 10.2 points at 5062.93. The FTSE has fallen by 3.8pc this week alone, and is 13pc down on its peak in April. THE INDEPENDENT: When David Cameron planned his first foray into Europe as British Prime Minister he cannot have imagined that he would be entering a maelstrom. THE INDEPENDENT: The global recession has changed everything, exposing grave structural problems within the European economy. 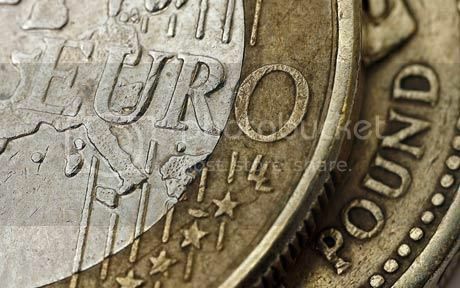 Fears about the future of the euro have helped plunge global markets into chaos, with share prices around the world reacting to the possibility that the eurozone will break up and that several of its member countries may default on their debts. 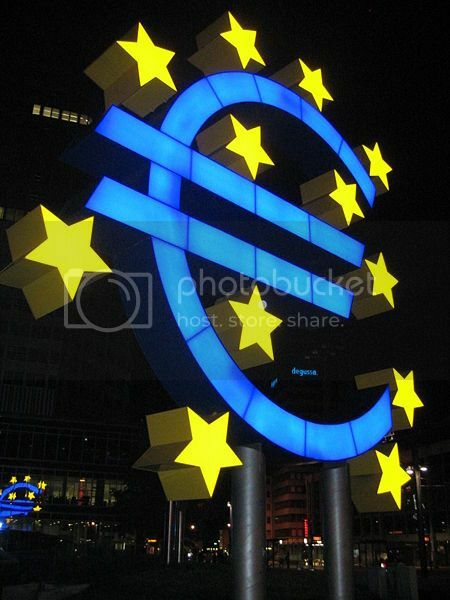 Will the euro survive? It is a question that, two years ago, would have seemed outrageous. Anyone who suggested that the eurozone was fatally flawed was branded as a Europhobe, someone who hated the European Union, not just its single currency. For the euro appeared a success. After a few wobbles, it had established itself as a major currency, while across the Continent, euros were making it easy for people to travel and trade. 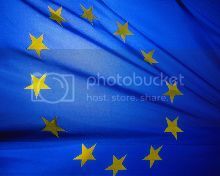 More important, adopting the euro seemed to have given a greater stability to countries that had previously had weaker currencies, such as Italy and Spain, cutting their interest rates and encouraging growth. FRANKFURTER ALLGEMEINE ZEITUNG: Gold ist wegen der Euro-Krise beliebt wie nie. Der Bedarf ist sogar noch höher als zur Finanzkrise im Jahr 2008 - das treibt den Preis. Doch die Goldanlage hat auch Tücken. Wenn Christof Wilms über die Wahl seiner Kundschaft berichtet, dann ist die Sache eindeutig: „Die meisten Kunden kennen den Krügerrand und deshalb investieren sie in ihn“, sagt Wilms, der den Goldhandel der Reisebank leitet. Das Unternehmen gehört zu den großen Händlern im Edelmetallgeschäft und versorgt in Deutschland 1200 Banken mit Edelmetallen, verfügt aber auch über 100 eigene Filialen. 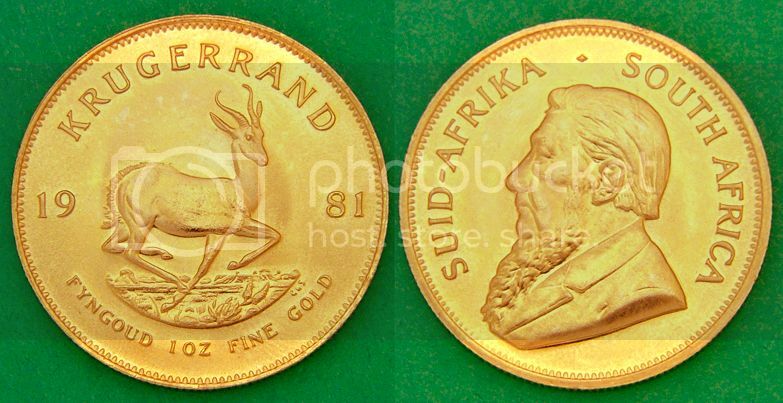 Der Krügerrand aus Südafrika ist die Goldmünze, die auf der Welt am weitesten verbreitet ist. Kein Wunder, dass nicht nur die geübten Münzsammler derzeit daran großes Interesse haben, sondern auch diejenigen Käufer, die in Zeiten der Euro-Krise zum ersten Mal ihr Geld in Gold anlegen. Es gibt aber nicht nur den Krügerrand, sondern auch Nuggets, also australische Goldmünzen oder die kanadische Maple-Leaf-Münze. „Sie haben alle den selben Goldanteil, sind aber deutlich günstiger als der Krügerrand“, sagt Wilms. Derzeit koste der Krügerrand abhängig der Stückelung zwischen 1003 Euro bis 1010 Euro, berichtet er. „Andere Goldmünzen sind allerdings um 10 bis 20 Euro je Unze günstiger, weil sie ein geringeres Aufgeld haben.“ Das Aufgeld fällt etwa für die Prägekosten an.